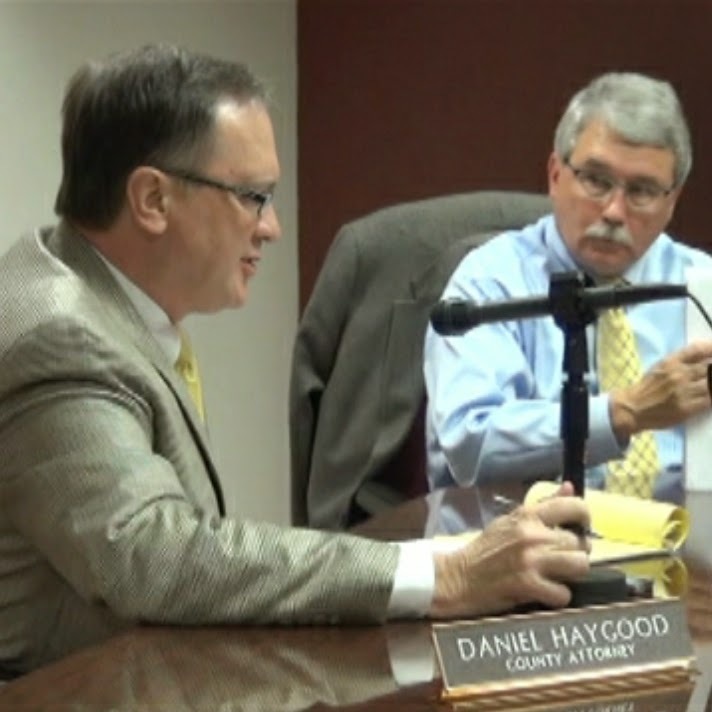 Oconee County Attorney Daniel Haygood told me in an email message last Tuesday that he is expecting liquor by the drink to be on the agenda for the Dec. 16 meeting. County Clerk Jane Greathouse usually releases agendas for BOC meetings on Friday afternoons before the Tuesday meeting. Mychell Lang and Andrew Wallace came before the Watkinsville City Council last month indicating their desire to be able to serve alcohol at Chops & Hops, located at 2 South Main Street in Town Center. Lang and Wallace are owners of the restaurant. At present, the city has a beer and wine ordinance, and Chops & Hops is one of three license holders in the city. Mirko Pasta, also in Town Center, and Girasoles, 24 Greensboro Highway, are the others. The city does not have an ordinance allowing for the issuance of licenses for the sale of alcohol by the drink. The Council discussed passage of such an ordinance in August but took no action pending the outcome of the county-wide vote on Nov. 4. Voters authorized the Oconee County Board of Commissioners to write and pass such an ordinance on Nov. 4, with a 65.4 percent positive vote. Watkinsville was relying on a 1987 Georgia law that allows a city that is wholly or partially in a county that has approved a county-wide referendum on the sales of distilled spirits by the drink to forgo its own referendum. The condition is that “a majority of the electors voting in the county-wide referendum election who reside in the municipality” must vote in favor of the county referendum. While it seems likely that city voters who make up part of the City Hall and Annex precincts approved the county referendum, it is impossible at present to provide data on the outcome of ballots cast by city voters, according to Pat Hayes, chair of the Oconee County Board of Elections and Registration. Hayes said to be able to do that she would have needed to transfer the county ballot language to the ballot of voters in the city of Watkinsville. She said that she had not been asked to do that. I talked to her by telephone last Thursday. The City Hall precinct had 1,485 active voters on Nov. 4, and 1,130 (76.1 percent) of them live in the boundaries of Watkinsville. On election day, 869 of the City Hall voters cast a ballot, and 661 (76.1 percent) of those were Watkinsville residents. The City Hall precinct voted strongly (61.5 percent) for liquor by the drink in the county referendum. The Annex precinct had 1,832 active voters on election day, and 614 (33.5 percent) of them live in Watkinsville. On election day, 1,173 of the Annex voters cast ballots, and 367 (31.3 percent) of them live in Watkinsville. Of all Annex voters, 64.9 percent voted in favor of the county liquor referendum. None of the other cities in the county have restaurants at present, though one is set to open in Bishop. Bishop currently does not allow sales of alcohol. Of the 1,394 active voters in the Bishop precinct, only 168 are in the city. The majority of the 805 voters in the Bishop precinct voted in favor of the county referendum, with a 67.2 positive vote. Because there was no election in the city on Nov. 4, there was no special Bishop ballot and no count of the number of city voters who cast a ballot. Of the 1,841 active voters in Bogart, 489 are in the city. Of the 1,020 in the precinct who voted on Nov. 4, 63.5 percent approved the county referendum. Bogart also did not have a city election. North High Shoals is part of the High Shoals precinct, and it did have an election on Nov. 4 and its own ballot. Of the 1,477 active voters on election day, 373 were in the city. A total 936 High Shoals voters cast ballots on Nov. 4, and 236 of those were in the city. High Shoals approved the county referendum with a 65.6 percent yes vote. He also told me there have been no changes to the draft ordinance he presented to the BOC on July 29. OCO: License List from Lee Becker on Vimeo. The BOC approved the referendum the following week, with Commissioner Jim Luke and Commissioner Mark Saxon voting for the liquor-by-the-drink referendum and Commissioner John Daniell voting against it. Commissioner Margaret Hale chaired the meeting in the absence of BOC Charman Melvin Davis and did not vote. The ordinance retains the existing county definition of a restaurant as a business with a minimum of 75 percent of its gross income being derived from the sale of meals and appetizers. The county at present loosely monitors compliance with the 75 percent rule and does not enforce the rule on food purchases with drinks. The ordinance also continues the restriction that licenses can only be issued in areas of the county designated by the BOC for alcohol sales. At the BOC meeting on Tuesday, commissioners approved 2015 alcohol license renewals for retail sales of malt beverages and/or wine by the package at 17 groceries or convenience stores throughout the county. It approved three licenses for the sale of malt beverages and/or wine at wholesale. It approved a license for sales by a recreational club at Lane Creek Golf Club. And the BOC approved 2015 licenses for retail sales of malt beverages and/or wine by the drink at nine restaurants. These are: Catch 22, Chef Ming’s, Cheddar’s Casual Café, Dominick’s, La Cabana de Don Juan Watkinsville, Piccolo’s Italian Steakhouse, Taqueria La Parrilla, Tsunami Taqueria, and University 16 Cinemas. These are the most likely applicants for liquor by the drink when the ordinance is approved. The video above is of Chairman Davis reading the names of most of the applicants. The others were approved separately. Oconee County’s strong approval of liquor by the drink on Nov. 4 is likely to encourage requests for other changes in the county’s liquor laws. The referendum passed in each of the county’s 13 precincts, with the Farmington approval by 57.1 percent of the voters the lowest. The county had turned down similar referenda in 1990, 1996 and 2002, with only 45.2 percent approving in 2002. Voters would have to pass another referendum to allow package sales of liquor in retail outlets. They also would have to vote again to allow Sunday sales. The pressure is likely to come from grocery and convenience stores seeking to convert inactive space on Sundays to active space, and from owners of vacant commercial space seeking to fill that space with package retailers. When I reported the results of the Nov. 4 election, I reported that each of the county’s four cities had approved liquor-by-the-drink. I did this based on results for the cities released to me that night by the Board of Elections and Registration. The next day, I realized that the results, in fact, were not for the cities, but for the whole precincts of which the cities are a part. I have tried since then to learn if the county had the ability to break out the results for each of the cities. Board of Elections and Registration Chair Hayes attempted to obtain those data for me in several ways and told me last week that she had concluded it is not possible. Note: I apologize to Lang for misspelling her first name in an earlier version of this report and thank the reader who pointed out the error.